During the past week, most of Newfoundland has experienced a little taste of the inevitable … winter. Granted, the Avalon Peninsula was spared the snow that was dropped on the west coast and central Newfoundland – but the temperatures have definitely taken a little nose-dive and the ground has been speckled in white. 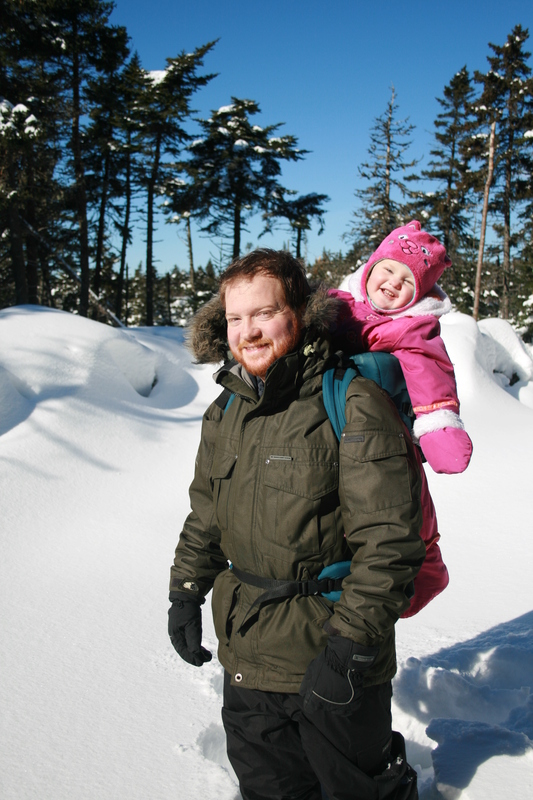 Nothing like a good snowshoeing adventure in beautiful Newfoundland – this one in February 2011. And while I’m none to fond of digging the snow shovels back out from under the recently stored lawn-mower and kiddy pools in the shed, I do look forward to winter. Mostly for the birding … I’ve always had a soft spot for winter birds & birding. Mind-boggling shades of grey as gulls flock on frozen ponds. Rafts of ducks floating past headlands coated in ice. Rainbows of birds brightening up snowy backyards. And rarities … there’s always room for rarities! And so begins the season of the “Winter List“. Winter bird lists have become popular across Canada, with most provinces keeping a cumulative list of which species have been reported during the “official” winter season (December thru February). I began doing that for Newfoundland seven years ago (Winter 2006-2007) and will be doing it again this year. Most winters, about 130-140 species are reported around the island (plus a few more from Labrador). Just last year, we set a spectacular record of 153 species – one that will be tough to beat. Overall, a grand total of 251 species have been recorded here during the winter period – an incredible number considering our geographic location and often challenging weather. 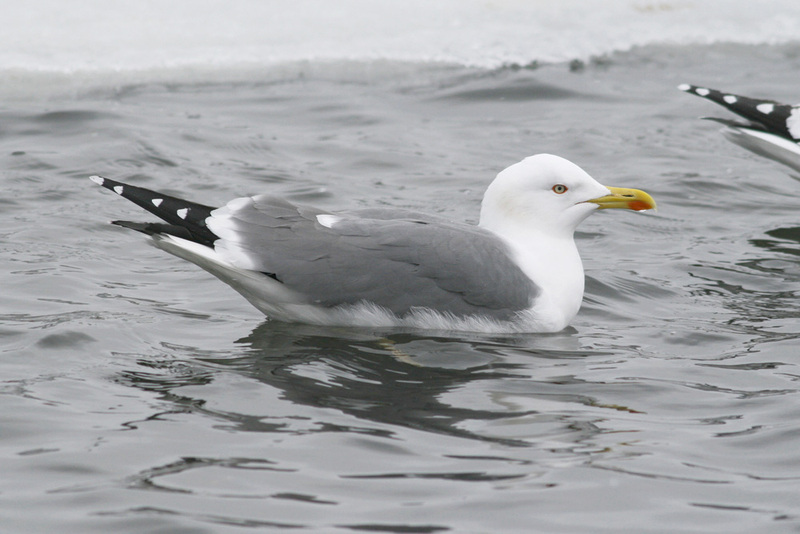 Winter is also prime gull season in St. John’s. Hopefully the Yellow-legged Gull that has been seen recently will hang out – it’s always a winter highlight for local and visiting birders alike! So … starting December 1, birders in this beautiful province will start birding with a fresh, new perspective – “winter birding”!! In fact, the first few days of December are key for finding and/or seeing some lingering birds that otherwise shouldn’t be here at this time of year – birds that are unlikely to be seen as winter weather sets in. A few that will be high on the priority list for local birders include any late warblers, which should be well south of here by now. A few have been reported lately, including Newfoundland’s first Virginia’s Warbler, but won’t likely be around much longer. A Great Egret that has been hanging out in east St. John’s the past few days will be another target. Unusual at any time in Newfoundland, there have been only a handful of winter records at best. This one should make the cut. Keep tabs on the “Winter List 2013-14“ link at the top of the page for regular updates to the Newfoundland winter list .. and if you see something interesting and/or not currently on the list, let me know!! This entry was posted in Uncategorized and tagged Newfoundland, winter bird list. Bookmark the permalink.